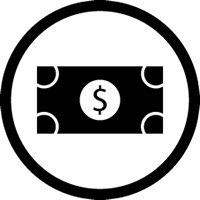 Stay competitive by drastically reducing your operational costs. 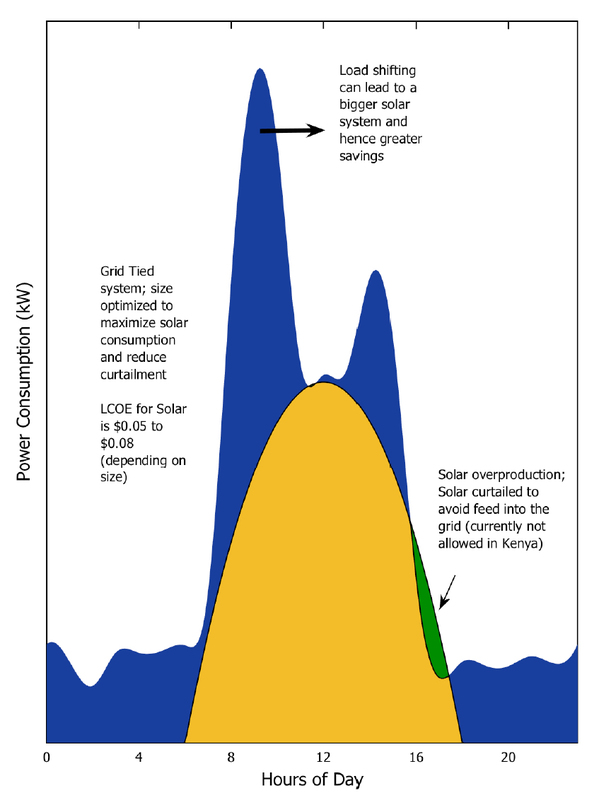 Solar power can be generated at 6/= per kWh compared to 15/= per kWh from KPLC – this is a major reduction! Reduce total electricity bills by upto 90% in some cases. 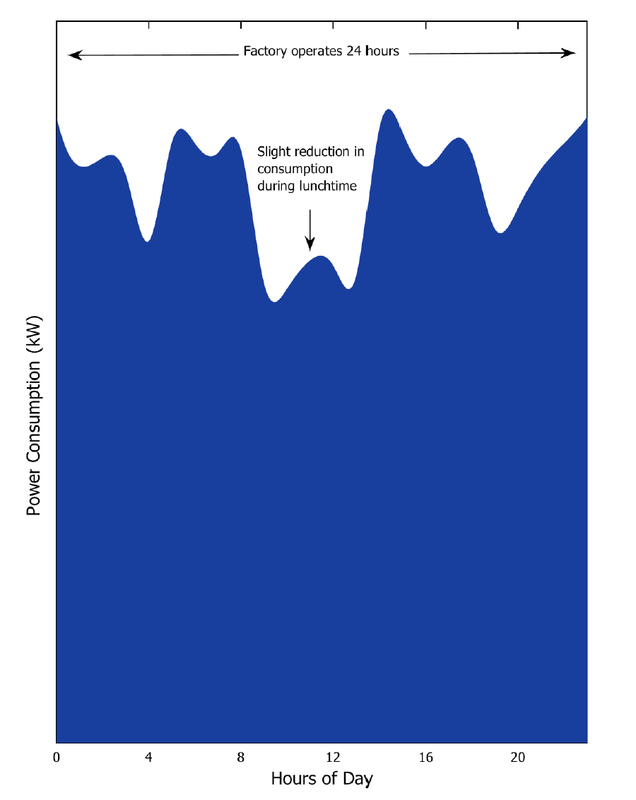 Commercial Energy Storage can provide backup for your most critical loads, saving on diesel costs. Additionally, Peak shaving can help lower your demand charges whilst loads shifting helps you benefit from discounted off-peak rates. We quantify the financial benefits that you are able to monetise during our sophisticated data logging process and system optimisation process. See your own power consumption and system performance in real time, manage operations efficiently, and know how much solar is saving you. We monitor the system 24/7, providing customer service and maintenance support throughout the system life. Solar Energy is important for industries and businesses to control and reduce their energy costs, have reliable power, and operate in a environmentally concious way. It is also a great long term for sure investment for your business. Solar benefits manufacturers, hotels and lodges, as well as hospitals, schools and shopping malls where electricity costs are high and keep going up! 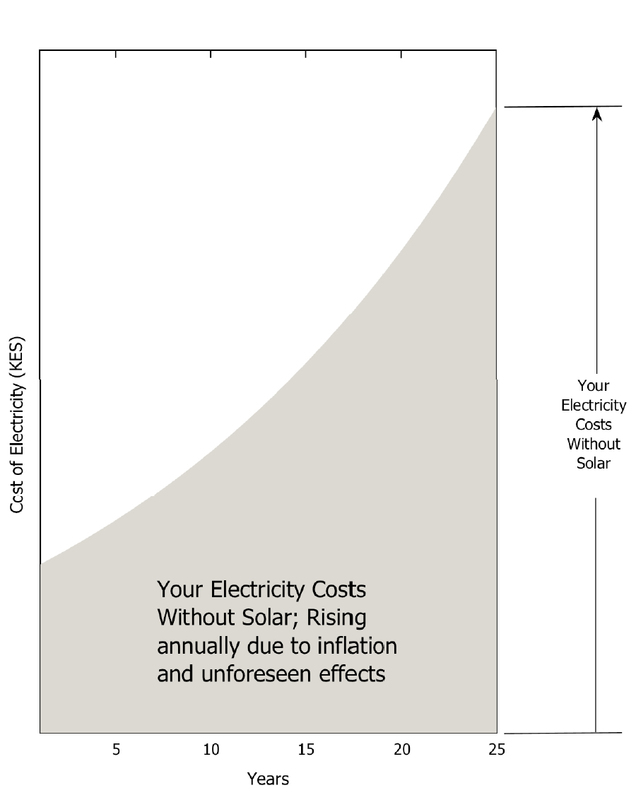 Payback for your solar system in 4-7 years and enjoy free power for 20 years after that! Illumina Africa ensures a seamless solar PV into your current set up, with the new solar system working together with the grid and your current generators. The type of solar PV systems designed will vary based on the application and client requirements, such as a pure grid tied system, hybrid systems, battery storage systems, all designed precisely for requirements. Can solar work with my heavy duty and high power consuming machinery? Yes, Solar grid-tied systems works seamlessly with any machinery and equipment. 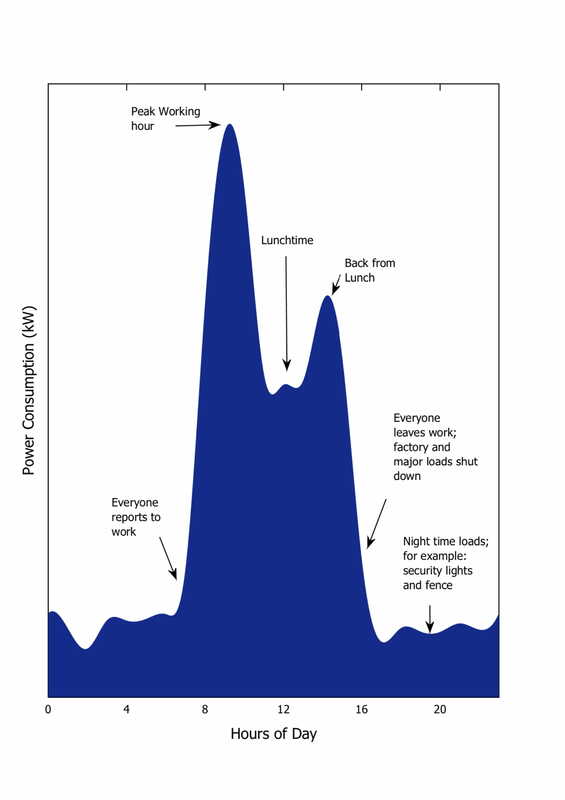 The system is integrated into the existing distribution line of the plant/factory (exactly how the generator would be integrated) and produces the same quality and ratings of power as the grid does. The machinery does not know where the power is coming from and does not have to be adjusted to run on solar. Does it make sense for me to go solar when I consume more than half of my energy needs at night? 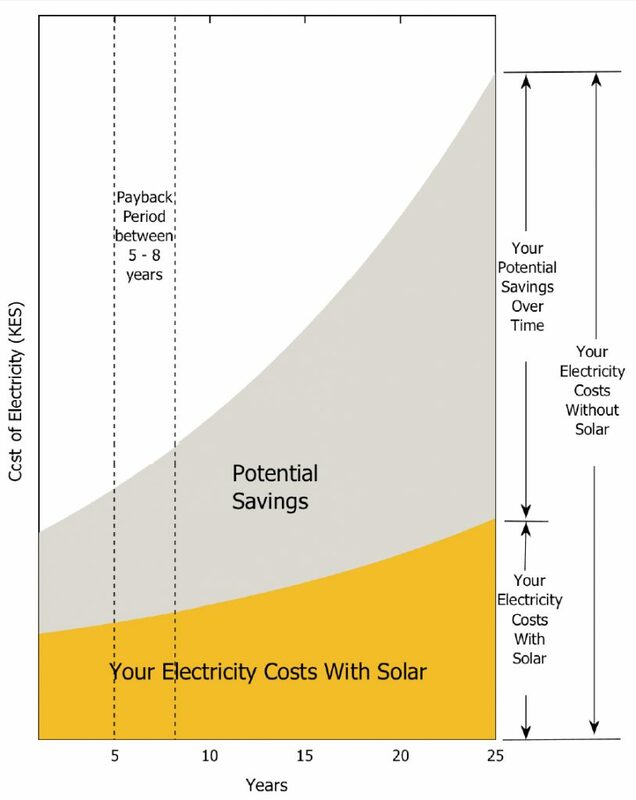 Yes, you will save money/reduce costs for the % of energy consumption that happens during the solar hours of 8am – 5pm. 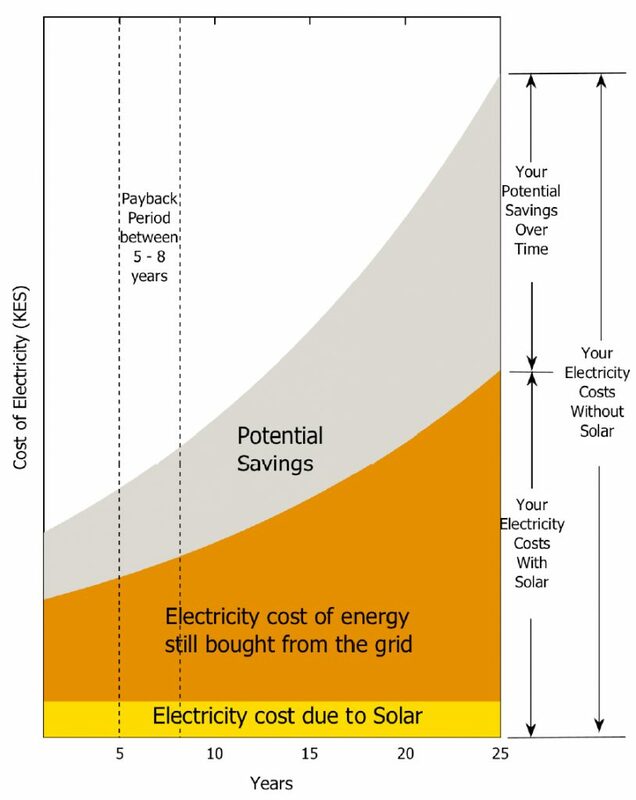 You will generate solar energy to as low as 6 shillings per kWh instead of paying KPLC 15 shillings per kWh for that 30%-50% of consumption that happens during the solar hours. 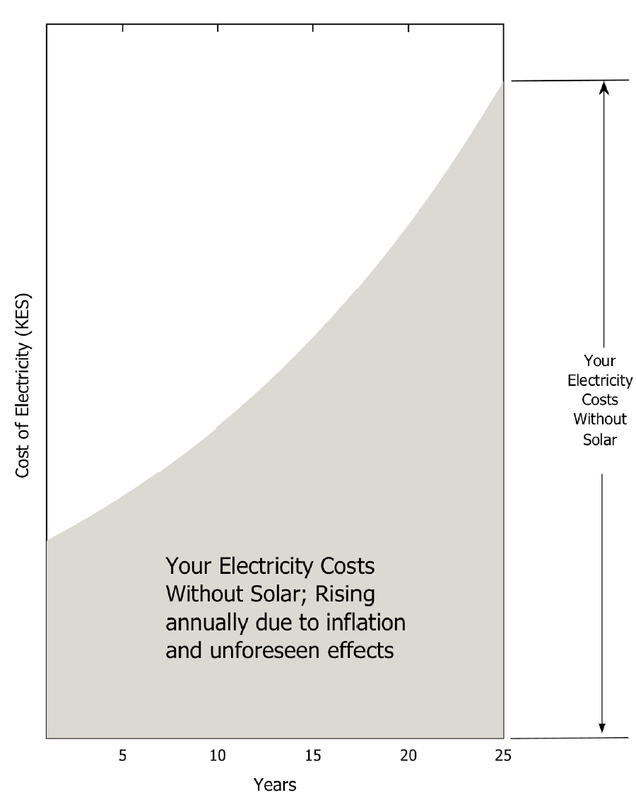 Hence saving close to 10 shillings per kWh. Our systems are designed optimally to ensure that the solar is never producing power that is wasted, thus achieving the lowest LCOE (levelised cost of electricity). 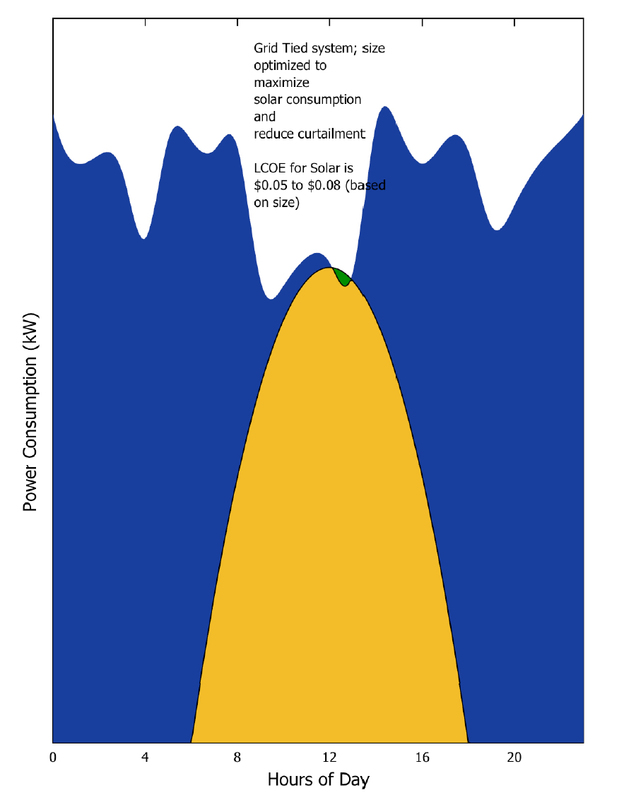 I do not want to install batteries, can solar be beneficial without batteries and what happens when the grid goes down? Batteries are not a must for commercial systems, mainly because a lot of consumption happens in the day that can be directly powered through solar energy. This type of system is commonly known as a grid tied solar system, meaning it works with the grid to provide a constant supply of power (the grid supplements the solar). When the grid is down the solar can still work in tandem with the generator by installing a specific component to the system. What is the expected payback of such a system? 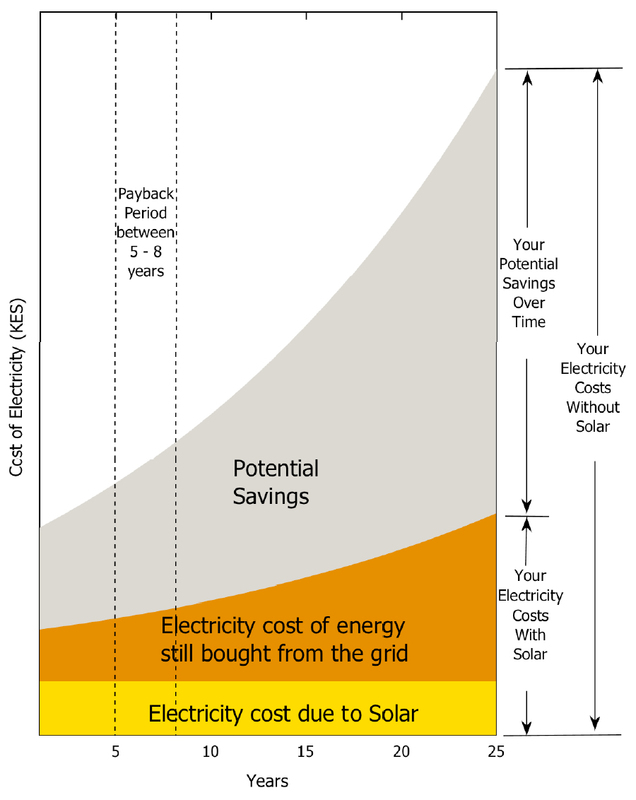 A commercial solar system without batteries has a very attractive payback of between 4-6 years as there is no cost of batteries. 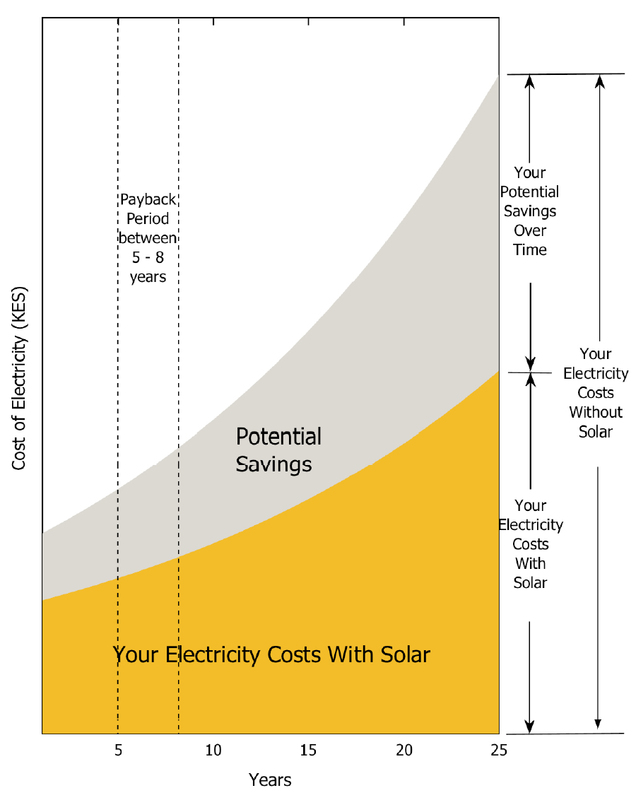 This together with the benefit of 100% IDA in year 1 for manufacturers and lodges/hotels makes solar a no – brainer. I cannot afford to buy the solar system outright, what sort of financing is available for such projects and how do I apply? Tailored finance options will be sourced and modeled if applicable for your project, and the implications to various accounting clearly outlined for the full system life.